Revive your memory. Think back to skinny jeans, clever belt buckles, hair straighteners, and heavy eyeliner. It’s 2002. What do you hear? The early 2000s marked the beginning of a decade of emotive rock music that effectuated the beginning of a new era for an entire culture. New trends. New pop culture. Pant legs increased in width, exhausted hair regained its natural texture, and eyeliner lightened. If you’re a scene kid, Saves the Day, Brand New, or Taking Back Sunday is probably the soundtrack for your year. Twenty years later, it’s possible you’re still throwing on “Cute Without the ‘E'” or find yourself screaming “I got a bad feeling about this” in that signature TBS repetitive manner. 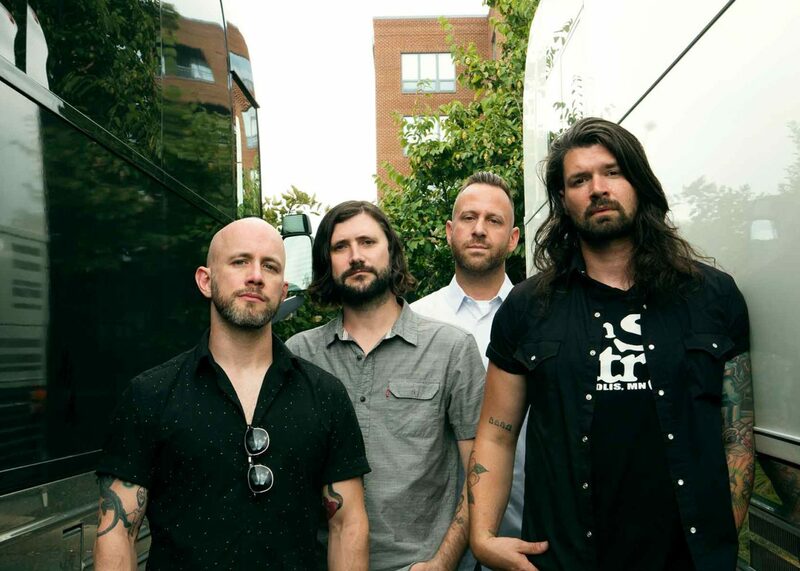 Withstanding the test of time and surviving short attention spans, Taking Back Sunday still stand strong, their unique made-for-Instant Messenger quips and emo-pop-rock musicianship echoing off the walls of multiple generations. Not only have they survived a scene change (sea change? ), they have powered through breakups and lineup changes. It’s a band that started their careers on Long Island, New York in 1999 with members as young as 17 and some barely old enough to drink. Now, they’re not just parents, but they can use something that didn’t exist before – FaceTime – to keep in touch back home while out on tour. Part of the appeal of the band’s music is that it gives voice to the complicated emotions of their peers and creates a space for the screams revolving around those feelings. 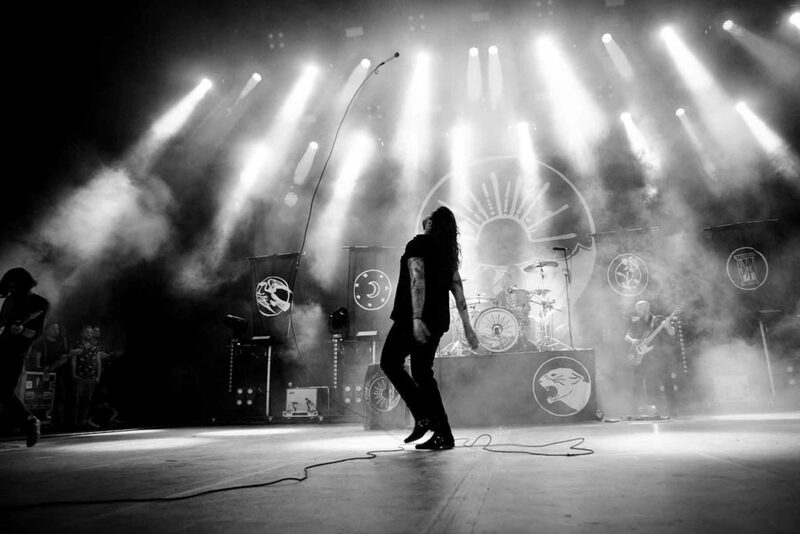 Taking Back Sunday is still doing that in 2019. They’re just the proverbial older and wiser. Tours look different now. They look different. But their music still possesses that same raw quality and features those same catchy riffs and uptempo drums that bewitch listeners. Celebrating 20 years of music, TBS released Twenty in early 2019. The album features two new tracks – “A Song for Dan” and “All Ready to Go” – which exceeded the expectations of longterm fans waiting for new music; the remainder of the album consists of select tracks pulled from across all seven studio length albums. Guitarist John Nolan joined HM Magazine to discuss coming of age in a transitioning music landscape, his love for the Long Island scene that he grew up with, and why El Paso still holds a place in his heart. HM: How has touring changed now that you have kids? John Nolan: Well, you know, it definitely makes it a little bit harder to go away. Now, the more times things work out, we can do more prepped returning or unplugged days off when we can. Or fly (the family) out. There’s a lot of stuff to figure out. You know, I think when the band was starting out, there was a mentality of accepting every tour invite and every single thing that comes up. We were gone for, like, 11 months out of the year. Now – and we still tour quite a bit – we try to make more time on our tours to be home for a weekend and make it a priority to take some time off. It’s funny how things change as life changes around us. Other than returning home as much as possible, when you’re on the road, have you all used tools like FaceTime to make it as painless as possible? Yeah, there’s always a lot of FaceTiming and phone calls. I’m usually on FaceTime with the family at least twice a day, and that’s a really nice thing. Five to ten years ago, that wasn’t really a possibility. Even when I’m halfway around the world, I can still get on FaceTime with everybody, which is an amazing thing. A lot has changed in two decades of being a band. Back in 2004, you all wrote the track, “A Decade Under the Influence,” when you look back at that track and album, it’s now been two decades of influence. No, it’s really hard to believe that it’s been that long. In a lot of ways, it doesn’t feel that long. Then you think about certain things and it (becomes) very clear that it is. Other things seem like just yesterday, and I’ll be like, “Oh, that was 15 years ago!” It’s a pretty surreal thing for all of us. Especially with the little bit about how you all have been up and down as a band. Before the band got back together and Mark (O’Connell, drummer) called you and made his case to rejoin the band, what were the moments you still remember today that stood out and encouraged you to open your heart and your mind to the possibility of coming back together? There was a list of things. One thing, as simple as it was, is that: One, he was able to convince me of how much fun it could be for all of us to be back together making music again. That was a big factor because, at the end of when I had first left the band, it had really gotten not very fun anymore. Then, another thing, was talking to Adam Lazzara, vocalist) again. Once we started getting on the phone, it was really great catching up, talking to him about the goals for the next record. I was trying to feel that out. They were telling me they wanted to make a great rock record, and that sounded like an exciting idea to me: pursuing the making of a great rock record. What is great rock to you? To me, I think of a lot of albums throughout the history of rock music, and I think it can cover a lot of different sounds. I think of any Beatles album. They have a ton of great rock albums. I think of a band like The Who or the Rolling Stones, though, as embodying the spirit of rock and roll. There have been a lot of bands that have followed in that vein. I think there’s also something timeless about a lot of those rock bands from the ’60s and ’70s. That’s something we have been trying to pursue also, that timelessness where you listen to it and it’s a great song, great feel, and a great sound. You don’t necessarily hear it and think, Oh, that’s from this time period or that time period or this style. The bands that you mentioned – The Who, the Rolling Stones, and the Beatles – are those who inspired you to get into music or play a role in that? If not, what exactly pushed you into music when you did? In high school, I definitely listened to a lot of classic rock. I listened to a lot of Pink Floyd and the Beatles and The Who. I think what really started pushing me towards learning guitar and writing songs was when bands like Nirvana came out. And Pearl Jam. That really was exciting to me. It was something that was never around before. That was when I started playing guitar. Those were the first songs I started to learn and emulate. I heard an interview where you mentioned your first band’s name was Dragon Slayer. (Epic name, by the way.) Other than Dragon Slayer, Straylight Run, and Taking Back Sunday, what other projects have you been a part of? Nothing really too official. I’ve released three albums under my own name and toured as a solo artist. Really, other than that, it’s been full time with the projects you mentioned. I was in a band called Gudnuner Bjornson, which was a really hard name to pronounce or for people to remember. That was my first real band. I got my friends together. I actually taught my friend to play bass and taught another friend to play guitar, and they got into it, and then we knew someone to play drums and we formed a band. We didn’t really get anywhere, but we lasted for about three or four years and recorded a bunch of music. That was my first real band. We were just friends and we played some shows. We didn’t make it anywhere. Really, I did a few bands like that lead up to Taking Back Sunday where we recorded music and got out there, but nobody would hardly remember it. Do you still have those recordings? Do you ever go back and listen to where you came from? I do. My first band that I mentioned. We actually raised money and made a whole album and put it on CD, which, in 1995, was a pretty big deal to make a CD. Everyone was using tapes because it was much more affordable. I still have the CD of that, and it’s actually somewhere online. There were some people that were searching it out, and it ended up getting uploaded somewhere but it’s pretty hard to find. I’ll revisit it occasionally, just for fun, but it’s a little hard to listen to. It’s sort of embarrassing. All of these groups were back in Long Island? What was the Long Island music scene like when you were getting started? Well, when I was playing in high school, I was disconnected from the whole Long Island scene. I hadn’t really met those people, and I wasn’t aware of what was going on. After high school was when I started to meet people and started to form bands and that lead to Taking Back Sunday. It was a really great scene. There were tons of bands. The people in the bands or people that were friends with the bands, everyone would set up shows wherever they could at, like, a VFW Hall or a bar where they would keep it closed and all ages early in an afternoon or on a Sunday or something. Just set up shows wherever they could. It would be a big group of friends that supported each other and would come out to each other’s shows. It was a really great thing. Any band that was connected to that had an audience. You at least had a chance to get up and get in front of 30-100 people on any given day. It was a great thing. I feel like it’s something that probably doesn’t exist in a lot of places, and I don’t know if it exists totally on Long Island. There’s probably still some version of it, but I felt like we were really lucky to come up in that environment. Do you think social media and streaming services like SoundCloud and Spotify deprive that spirit and experience you described when you were starting out? I don’t know that it deprives them of it. I think it’s actually probably similar, but just in a digital way. I would imagine that there are communities forming off of SoundCloud and in different digital environments. Also, I guess people now have a chance to get heard in a way that we didn’t which is that you can make your recording and put it out there and have that access to your audience. I think it’s similar but in a digital environment and not necessarily in a live environment, not in a place where people are gathering in real life. It’s just on the internet instead. Before music became your actual Plan A, like, “This is actually working out for me,” you repaired car upholstery. How did that happen? How did you get into that? My dad. That was what he did. He was actually a pastor, but that was how he paid the bills. He was self-employed with his company that did car upholstery repair. One of the reasons he did that was he could make his own hours and do stuff in the church and still have a decent paying job that gave him the freedom to do other things. I knew I wanted to be in a band and be a touring musician for a living, so I thought of that as a good thing. To me, it provided the same freedom that he had. I could go away for a few days with a band and go up on a short tour, take some time off, and it would be fine. It wasn’t really an issue, and I could also make enough money to pay my bills. That’s really how it started. It’s always neat to be your own boss. You mentioned your dad was a pastor. Did you grow up in the church? I did, yeah. He wasn’t always a pastor. He became a pastor when I was, like, nine or ten or something like that, so I spent a lot of my time in the church. Is your faith today still an important thing to you? Or has that changed and looked different throughout the years? It definitely looks much different now than it did back then. I wouldn’t even describe myself as subscribing to any real sort of faith or religion at this point in my life. But I do think having that upbringing and that groundwork laid in life is not really something you ever totally leave behind. I think there’s always been some spiritual element or way of looking at the world you hold onto. There is that, but I really don’t have any “official way” or anything that defines my life. Your sister was in Straylight Run with you. Other than your sister, do you have any musicians in the family? My mom plays the piano. She never did it professionally, but she would do it in the church, basically. Moving back to the new album, the new tracks are really good. I love that it has the hits from the other seven full-length albums. Did you all go back into the studio to rerecord or remaster the old tracks? Or are they the originally recorded versions? Everything is the original recording, but it was all remastered to try to give the whole thing a uniform form and sound. In this tour you’ll be playing Tell All Your Friends in its entirety, and I believe these are the kinds of tours that fans live for. But what is it like for you as the artist playing this album in its entirety? It’s an interesting thing. In this one, we’re also playing Where You Want to Be and Louder Now too, so, over the course of two nights, we’ll be playing three full albums, which is something we’ve never done before. We’ve done tours where we’ve played one album, but it’s a crazy thing to take on three. It’s definitely interesting. It’s especially interesting to see the songs we don’t usually play live or hardly ever play live and the reactions. Sometimes it gets a much bigger reaction than you’d expect. You look at them like, “Whoa, people don’t really know this song,” and then you play it and everyone’s going crazy for it. It’s an interesting experience, every night, to see which of the ones people aren’t familiar with that get a reaction. In the past, what is one of those songs that you didn’t think had a cult following and then, when you play it, you’re like, “Whoa, okay!” Is there one, in particular, you can think of? On this tour, actually, it’s funny. I think it’s the last song on Tell All of Your Friends and the last song on Louder Now. Both are the most obscure. They’re both the very last tracks. They’re both kind of longer songs, and they’ve hardly been played live – and those ones have both been getting really good reactions. That’s very surprising. When you first got back together, the band recorded in El Paso and even have that raw track, “El Paso.” You all will be back here in Texas soon. What does Texas mean to you and the band? That experience in El Paso is always something that will stick with us because that was also the first time we reunited in person when Shaun (Cooper, bassist) and I rejoined the band. Literally, the first time we had all been together in a room for, like, seven years was at the studio out there in El Paso. That was also where we first made music altogether again. That’s also such a unique place – that studio. It’s actually outside of El Paso. It’s a place called Tornillo, just on the outskirts of everything, right on the border of Mexico. Just, like, out there in the middle of the nowhere. Part of that studio is a pecan farm, and we had this really crazy farm to ourselves. That’s always a big thing with us and Texas. And, you know, Adam actually lived in Texas for a few years, as well, so he’s got a lot of connections to that and to people he’s met and still sees from when he was down there. Throughout your career, what is the thing that you’re most proud of? I think, now, it really is the fact that we’re still doing this thing and that people still care and are paying attention to it. It really feels like such an accomplishment – just that – that we’re still here and making music. What is the one thing that you want people to know about you as an artist and Taking Back Sunday as a band? I really want people to know how much it means to us that we are still able to do this and that we recognize that a lot of that has to do with the support that our fans have shown us. It’s a little bit hard to express that or talk about it without sounding cliché, but it really does mean the world to us. It is something that – every time we show up in a city – we’re fully aware that to be there we wouldn’t be able to play that night and do what we love if people didn’t care enough to show up. That’s an amazing thing after all this time: that we still have that support. 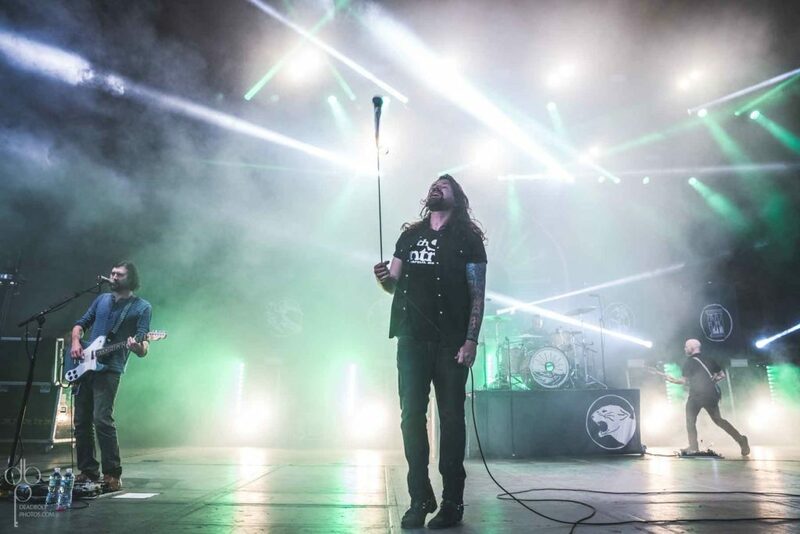 Taking Back Sunday was posted on March 30, 2019 for HM Magazine and authored by Tiffany Neufeld.